MB BCh BAO (NUIG), MRCGP, DCH, PG Dip Clinical Derm, MSc Healthcare Law & Ethics. Dr Michelle Rodgers has almost twenty years of experience, having graduated from NUI Galway in 1999. Her particular areas of interest are dermatology, child health and women’s health. Her aim is to provide nonjudgemental, holistic and evidence-informed care. Michelle has extensive experience of working internationally. Following her internship, she worked for a year in Australia specialising in paediatrics and emergency medicine, in the Mater Children’s Hospital and Princess Alexandra Hospital, Brisbane. After returning to Ireland she worked in Our Lady’s Children’s Hospital, Crumlin and Beaumont Hospital. 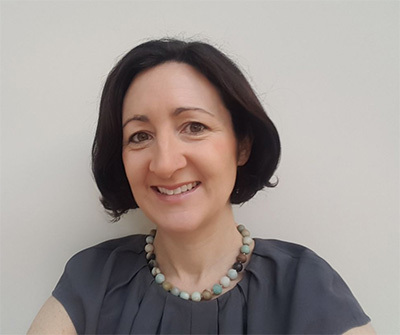 In 2003 Michelle moved to London and worked in Hammersmith Hospital before starting the East London GP Vocational Training Scheme. She became a member of the Royal College of General Practitioners in 2004 and was based in teaching practices in Hackney, East London. Her work included teaching medical students from Barts and The London School of Medicine and GP registrar teaching. In 2007 Michelle completed a postgraduate diploma in Clinical Dermatology at Barts and The London. She has written extensively in the area of medical ethics. See below. Michelle lives with 3 fun, active boys- her husband and 2 sons. Her other interests include most sports- yoga, tennis and meeting up with friends.